Do you want to grow your audience and catalog reach? We know many of you would answer "yes" to this question, so we're working towards helping you grow your audiences. One of our first steps is the new follow profile functionality. You may have noticed already that there's a new Follow button which appears on each profile page in the upper-right corner. In the following months we will work towards giving you options to send updates to your audience when you publish a new catalog. The idea behind following option is to give your readers easier access to your publications. If you don't want to display the follow button, there's an easy way to remove it. 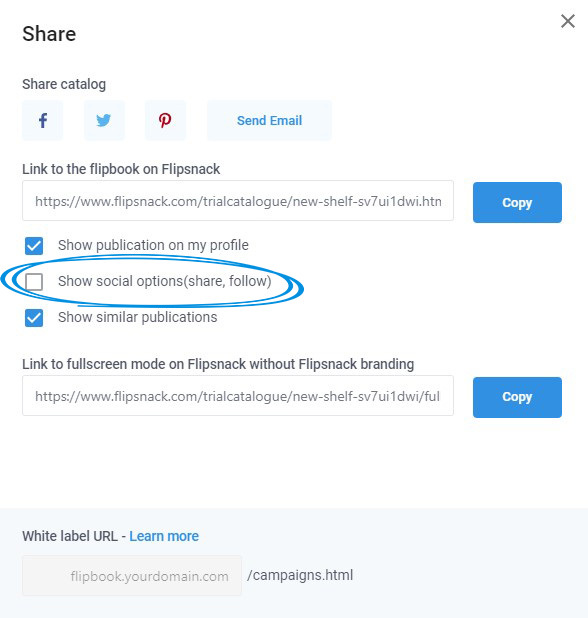 Simply go to My flipbooks and click the Share button below the flipbook you want to remove it from, then deselect the Show social options (share, follow) option. And now let's see how this works from the readers perspective. 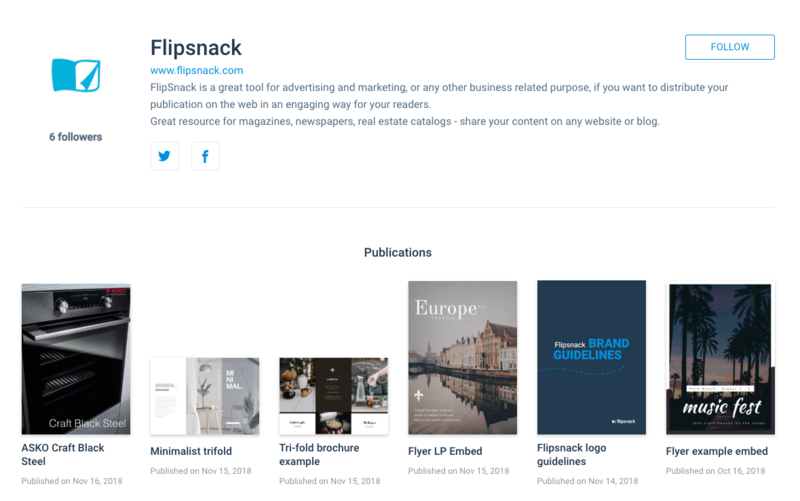 Important: You must be logged into your Flipsnack account to be able to follow a publisher. When you want to unfollow a publisher, simply go to their profile page, click the Followed button then select Unfollow. 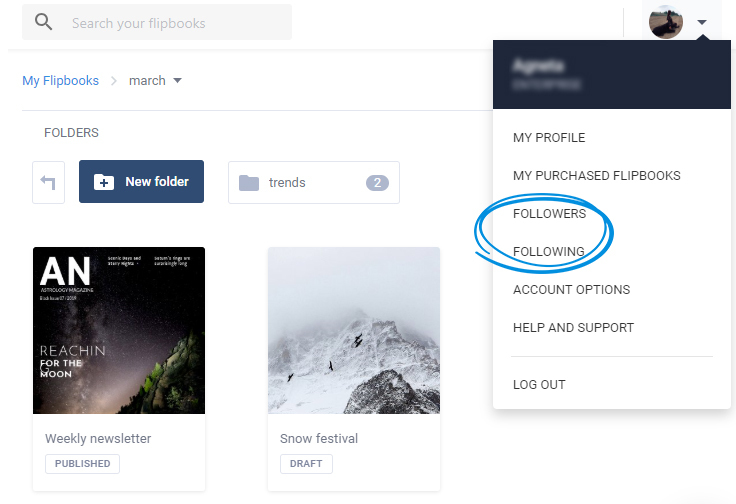 You can see a list of your followers and a list of the publishers you follow in the flipbooks dashboard in the drop down menu which opens when you hover your mouse over your profile icon. We hope you're just as excited about this new feature as we are so stayed tuned for more updates.